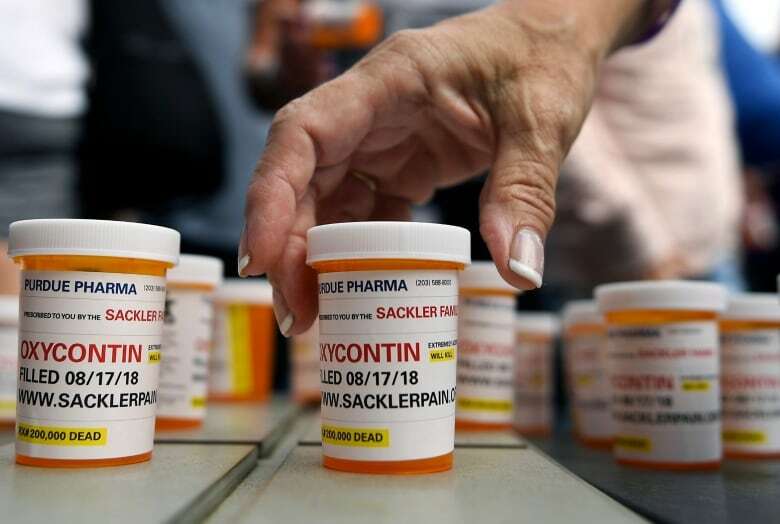 The museum has become the first to publicly turn down money from the Sackler Trust, which is linked to OxyContin makers Purdue Pharma. 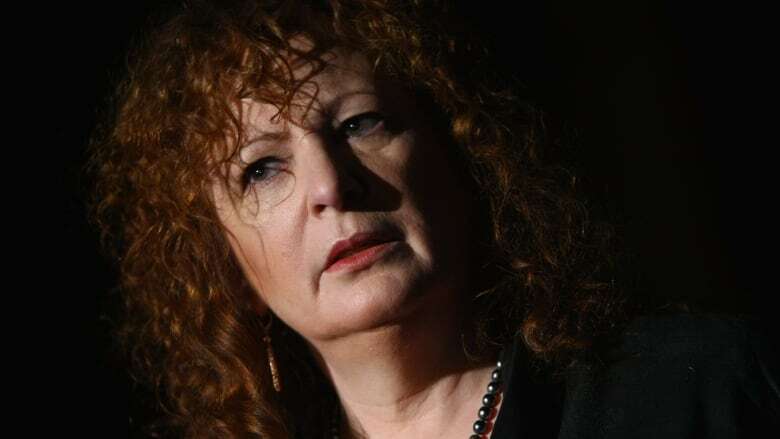 Nan Goldin thinks her "loud mouth" is at least partly responsible for Britain's National Portrait Gallery turning down a £1-million ($1.76 million Cdn) donation from the charitable arm of a family embroiled in the U.S. opioid crisis. The museum has become the first to publicly turn down money from the Sackler Trust. Members of the Sackler family own Purdue Pharma, which makes the opioid painkiller OxyContin. A representative for the Sackler Trust told the Associated Press that "recent reporting of allegations made against Sackler family members may cause this new donation to deflect the National Portrait Gallery from its important work," but added that "allegations against the family are vigorously denied." Goldin, an American art photographer who has struggled with opioid addiction, has been campaigning against institutions that accept the Sackler family's money. Here is part of her conversation with As It Happens host Carol Off. 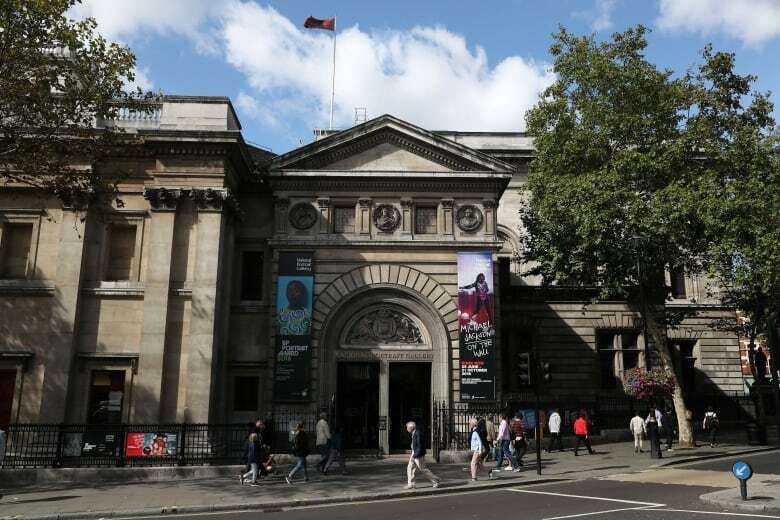 What was it like when you heard that the National Portrait Gallery had turned down this large donation from the Sackler family? It was like, "Whoa! Yay!" My group's about 12 people and everyone had that response. What do you think persuaded the National Portrait Gallery to make this decision? I know that they were in discussion for a while. They told me in November when they invited me to do a retrospective that they were considering whether or not to take this money and I told them I wouldn't be able to do the show if they did. Do you think that was the deciding factor, that you're saying you wouldn't participate in the retrospective if they accepted the money? No. I wish. I'm not that important. They have a lot of artists to show. I think maybe the fact that I have a loud mouth and I spread the word had some effect. But you tried to get other museums and galleries to do the same. The Met and the Guggenheim. They didn't. They held their ground. So what is it about the National Portrait Gallery in the United Kingdom that was different? The man I know there is very courageous and ethical. They believe in good and bad. So they did the right thing. Hopefully, it will have a domino effect. Hopefully, other museums and universities will step up. Do you want to explain to people why you and others say this donation is a problem, that they shouldn't be accepting this money from the Sackler family? The Sackler family are multi-billionaires who made their money off the bodies of 300,000 people in America. They have a pharmaceutical company that they own privately. They've created and dispensed OxyContin knowing it was highly addictive and that's where their fortune is from. There are 2,000 states, cities, counties, and native courts suing Purdue. I understand, because you've spoken publicly about this, that this is very personal for you and your relationship with OxyContin, the drug that Purdue is producing. Tell us about that. I was addicted to OxyContin for about four years. I was using massive doses. First, I got it from doctors and then I went on the black market and I was in my own personal opioid crisis. So when I got clean two years ago, I realized how widespread this problem was and that I needed to help other people. How difficult was it for you to get over your addiction to OxyContin? You're never really over an addiction like that. People stay on drugs on opioids for years just to avoid withdrawal. Withdrawal is the most painful state besides torture. People will do anything to avoid it. Myself, I waited a few years to go to rehab because I was so frightened of it. I don't know if you know anyone who's ever been through opioid withdrawal, but it's both physical, mental and spiritual. Your soul turns against you. Every cell of your body turns against you. The Sackler family vigorously denies the allegations that they marketed OxyContin irresponsibly. What do you say to them? That's completely disingenuous. They are very responsible for the opioid crisis. But they are contesting that and they say the allegations are unproven. That remains to be seen. There are hundreds of documents that have been exposed. What is proof? All you have to do is follow the story about how they marketed it to doctors. This is $1.7 million Canadian that they were going to give the National Portrait Gallery in the U.K. and they've given money elsewhere. Why should those institutions not take the money? There's a lot of dirty money out there. Most museums have board members or trustees who are making weapons or involved in mass incarceration. There's a lot that's being revealed. It's a time of transparency. But a place that's a repository of culture, of learning, of the highest, noblest endeavours of man should not have their walls dirty by people laundering their money. Written by Alison Broverman, with files from The Associated Press. Interviewed produced by Chris Harbord. Q&A has been edited for length and clarity.